While the democratic American Presidential election campaign was going on, the media noted that Iran was busy defaming the candidates and the entire American process and culture. Iran’s negative attitude reached such levels of disrespect that even the state department spokesman, Mark Toner, had to admit, as reported in the washingtonexaminer, that “Iran is not treating the US with the respect it deserves”. Astonishingly, he then went on to request that Iran “respectfully help find out what happened to Robert Levinson who disappeared in Iran in 2007”. After such disrespect, he begs Iran for respect, in locating the whereabouts of another American captive. After such a display of weakness and lack of reality check, it would seem quite clear why Trump, who spoke about “making America great again”, won the elections. Picking up on the many anti-American statements coming out of Iran during the election campaign, the nytimes deduced that “Iran’s senior leadership was not likely to allow any easing of hostility toward the United States”. Among the delightful quotes they gathered: “trusting or cooperating with the United States would be a big mistake”. If you don’t believe American press on this, then you get it head on from state controlled Iranian media as well, like tasnimnews, which shares with its readers that Imam Khomeini believes “Iranian nation’s confrontation with the US is based upon impeccable logic”. He is further quoted “The Iranian nation stood against the US in the era of Imam (Khomeini) and keeps chanting slogans and standing against it today on the basis of firm and reasonable logic”. So we see – from Khomeini to Khamenei nothing has changed. Further evidence of this unchanging anti-American Iranian attitude has been reported recently, like the latimes piece titled “Iranian bask in Anti-American Feeling” or the al-monitor titled “anti-US talk dominate Iranian media”. Both articles mark the fact that when the Iranians think back to the anniversary of the American hostage taking, they bask in anti-Americanism. As if the Americans took Iranians hostage. Hello? It was the other way around! Additional rejoicing in the decline and calling for the destruction of the US, expressed by different Iranian figures (i.e. yahoo news and nowruziran), keep the flame burning. So – Despite the nuclear deal, the appeasing statements by the American administration about reborn “Iranian moderation” and the over-rated western attempts to bring about détente and rapprochement, Iran has responded with further disrespect. Perhaps that contributes to the call for “Making America Great Again”. 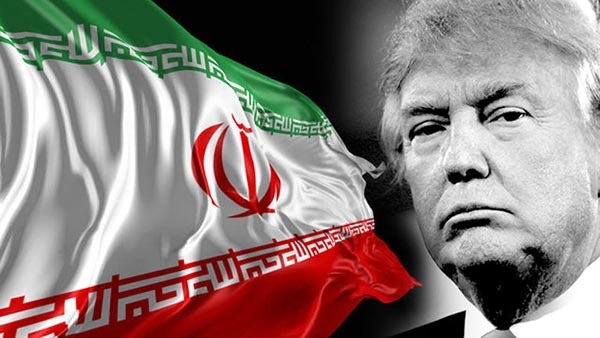 It is to be expected that following the election of Trump as President, Iran will start building the case of “Trump’s guilt for the bad relations”. When they do that, we should all remember that their anti-Americanism predates Trump and is unrelated to who sits in the White House.